PRODUCING with PASSION is about applying your entire being to making a difference with your life and your life's work. It's about building a community where people collaborate and share resources to turn a vision into reality. A team of individuals who share a common vision, working together, can create media miracles. Fadiman and Levelle are attuned to personal, financial, and technical challenges that arise for any artist driven by authentic passion. As a result, they are able to offer insightful suggestions on how to remain true to your vision while attracting and managing the talent and resources you'll need to make a film that makes a difference. "A film that reflects your true passion can have an impact for generations. This book gives you the tools to envision, produce, and finish such a film. As a documentary filmmaker, you have the means to open people's eyes and bring them into another world." So begins one of the most inspiring and informative books ever written about making films that have an impact on the world...an essential read for the serious documentarist. "Progressive, and yet strategic... reading this book is equal to a Masters Degree in Communications." "Indispensable to those interested in documenting their own era or engaging with their own times." "THE handbook for anyone setting out to make social change media." "Regardless of your budget, this book will guide you through the process of bringing your vision to life." 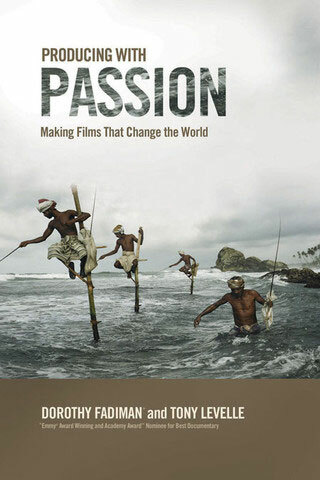 "As the world gets smaller, it's the smaller films that make the biggest impact... an excellent guide that provides step by step support for the novice documentary filmmaker."